Solicitors mistakes vary in degree of fault, from everyday minor mistakes, such as misspelling a word, to the most serious, such as missing a deadline. But contrary to popular belief, a client is not automatically entitled to compensation when a solicitor has made a mistake, even when the error is grave. To determine if a client can recover damages from his solicitor, regard must be had not only to the degree of fault but also to the consequences of it. As this month’s High Court decision in the solicitor’s negligence case of Chweidan v Mischcon De Reya Solicitors  EWHC 2685 (QB) illustrates, valuing the financial consequences of a solicitors mistake is not always easy. The Claimant Mr Chweidan worked as a trader for JP Morgan Bank until he was made redundant early in 2008 after complaining that his bonus that year (£450,000) and previous bonuses (£250,000 and £798,000) were too low. He believed he had been discriminated against, because of age and disability, and unfairly dismissed. (He suffered a serious spinal injury during a work skiing trip in March 2007. He was still able to work from 7am to 4am, but his colleagues worked longer hours). 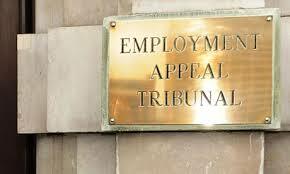 The employment tribunal that heard his claim agreed that there had been disability discrimination and awarded him nearly £600,000 before tax. The bank lodged an appeal which ultimately was successful. Mr Chweidan’s solicitors had intended to make a cross-appeal, but because it was lodged one day late, the employment appeal tribunal refused to consider it. Early advice to Mr Chweidan was that he had an arguable but difficult case. Even though the employment tribunal had found for him, his lawyers considered that the decision was vulnerable to challenge and were not hopeful about his prospects on appeal. The bank make several offers to Mr Chweidan of up to $350,000, none of which he accepted because he hoped to recover at least £1 million. He sued his employment solicitors Mishcon De Reya, who admitted that they had been negligent for filing the cross appeal late but denied that their mistake had caused loss because Mr Chweidan’s claim against the bank was, they said, of negligible or no value. In a complicated exercise, the court decided that his claim against the bank had had an 18% chance of success. It valued that claim at £357,000 after tax and awarded him 18% of that amount, namely £64,000 plus, no doubt, his legal costs. Whilst this may be less than Mr Chweidan had been hoping to recover, it is still a significant sum and illustrates well that solicitors mistakes can be costly.